Elaina Smith has a straight-talking schoolgirl and a wise head on her seven year old shoulders – which is why she is Britain’s youngest agony aunt. Her local radio station gave her the job after she rang and offered advice to a woman caller who had been dumped. Elainas tip go bowling with pals and drink a mug of milk was so good she got a weekly slot. Now she give advises thousands of adult listeners on everything from ending a stale relationship. The littler adviser tackles problems ranging from how to dump boyfriends and how to cope with relationship breakdown to dealing with smelly brothers. Elaina, from Coventry, West Midlands, appears on Mercia FM’s breakfast show and helps hundreds of people write to her with their problems each week. 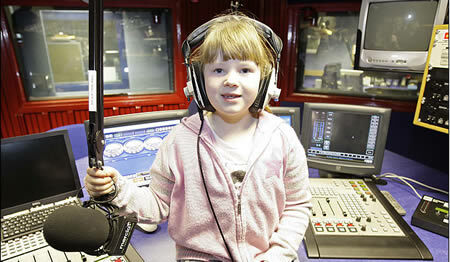 Breakfast host Andy Goulding said adults responded to Elaina’s straight-talking attitude. Elaina got her break after listening to the show as she got ready for school.